Thanks to Coupons.com for sponsoring today's post! It's no secret that denim is a huge part of Fall fashion. Denim jackets, denim vests, and of course, denim jeans! My favorite place to shop for denim jeans has always been American Eagle. In fact, I love the store so much, I worked there for two summers during my college years! Their variety is what I love most about their collection--whether you want a tight skinny jegging or you want to sport a looser fit with a boyfriend jean, you can find it at America’s favorite denim brand. When I worked there, I learned that no pair of American Eagle denim are exactly alike, which is why they encourage you to try them on first even if you know your size already. Just so you get that perfect fit! With 14 different denim fits and over 100 washes, American Eagle jeans have a little something for everyone--no matter what type of fit you’re looking for! Right now, all American Eagle jeans are ON SALE starting at $24.99 (not joggers and pants--just jeans)! You can also save up to 60% off AEO clearance and get free shipping with no minimum on 9/28 (aka, TODAY) only! On 9/29, free shipping is only on orders of $50 or more. 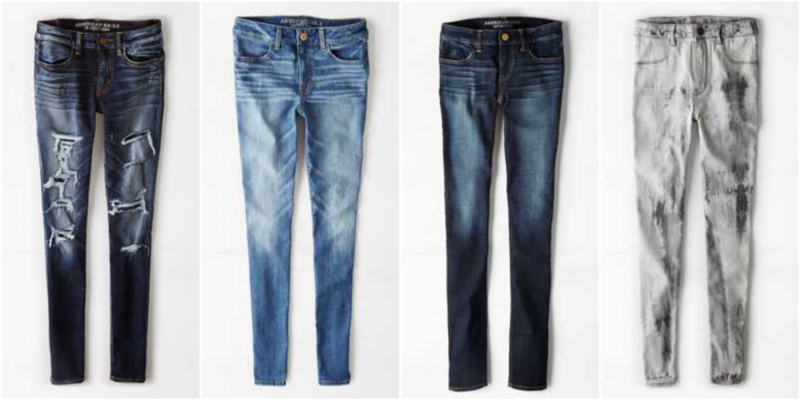 Check out these American Eagle coupon codes to help you save on your fall denim! Be sure to take advantage of these sweet deals and stock up on your Fall denim! 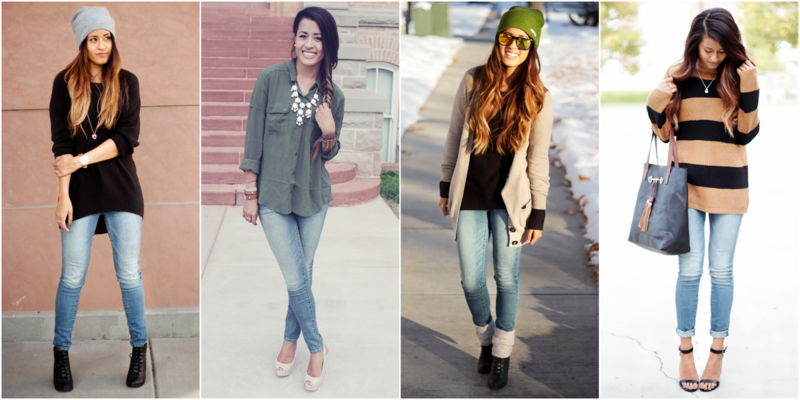 American Eagle will have you looking stylish and feeling comfy, all season long! Perfect outfit for errands or a casual day in fall. I LOVE that necklace too! Great looks! I recently started wearing AEO denim and really like it, I'm going to have to try some of their jeans!